Need soda and tonic? Those are located on Aisle Carnegie. Granola bars? 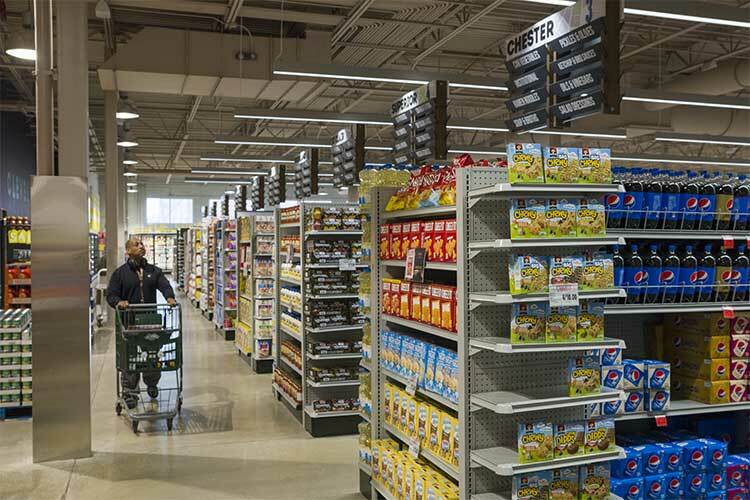 Walk on over to Aisle St. Clair. Foil pans? You can snag those on Aisle Prospect. On the surface, a Cleveland-area supermarket naming their aisles after local streets is a smile-inducing novelty. But this isn’t your run-of-the-mill supermarket. 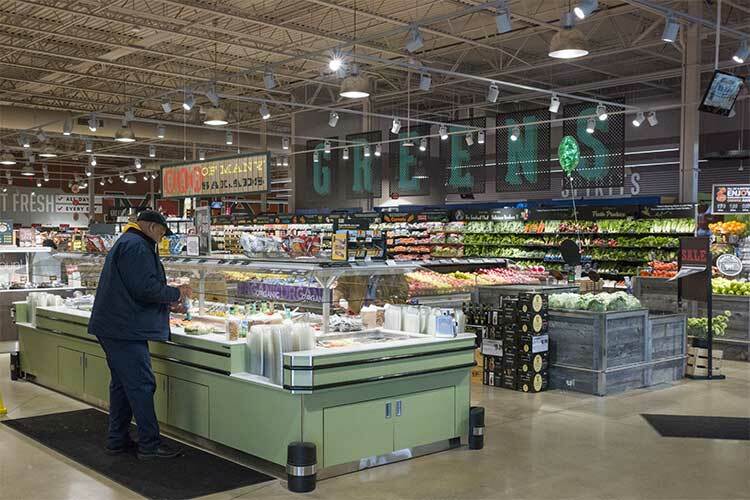 This is the newly opened Dave’s Market & Eatery on E. 61st St. and Chester Ave. in Midtown—an ambitious venture that simultaneously honors a storied past, addresses the current needs of the community, and lays the groundwork for a vibrant future. If that seems like a heck of a lot to pull off, it is. But for the Saltzman family, it’s not just what they do, but what they've been doing for generations. With this new store, they are ready to write the next chapter in an epic Cleveland grocery tale. This history of Dave’s Supermarkets dates back to the late 1920s when Alex Saltzman transformed his horse-drawn produce wagon into a family corner store at 33rd and Payne. He named the business after his son Dave, who then followed his father into the family occupation. Next came Dave’s son Burton, who was eventually joined by Dave’s grandchildren, Dan and Steve. More than 90 years later, the Saltzman dynasty has two new faces ensuring the legacy continues: brothers David, 32, and Aaron, 29, who are making sure that the reality of opening this new market is consistent with the original values put forth by their great-grandfather. Along with their commitment to family history, the act of embracing progress and change is nothing new for the Dave’s brand. With the opening of over a dozen stores across Cleveland, they have invested serious capital into the Cleveland economy. The opening of Dave’s Mercado at the Ridge Road location in 2007 not only created the largest selection of Hispanic foods in the Cleveland area, but also exemplified a connection to the area that surrounds the market. 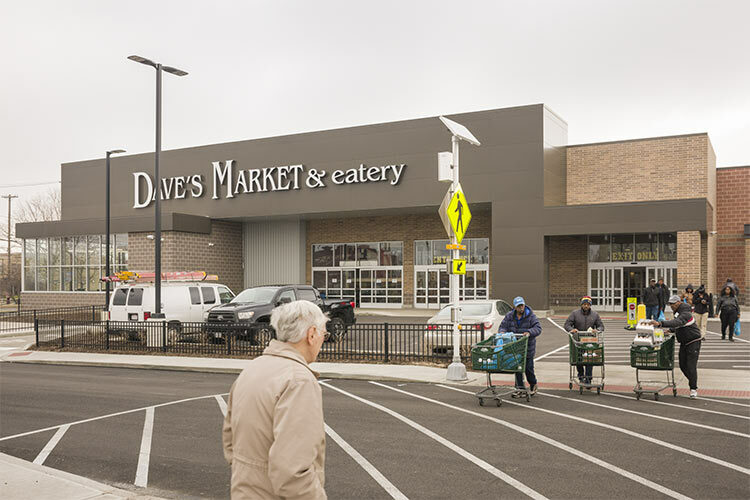 With the new Dave’s Market and Eatery, they took the development one step further, even going so far as to introduce a new name into the traditional “Dave’s Supermarket” mix. The “Eatery” reflects the plethora of made-to-order and prepared grab-and-go meal options; mini-food stations are set against various intricately backdrops evoking myriad types of restaurants. Maha’s Falafel sits next to Grandpa Dave’s Fried Chicken and Fish, which is located next to The BBQ Grill. With so many employment hubs located in the immediate Midtown area, it is a strategy that is paying off for customers wanting a no-fuss option on their way home as well as those looking for some mid-day sustenance. “Lunch is booming,” smiles David. One of the most significant differences patrons will notice with Dave’s Market and Eatery is the overwhelming rainbow of produce that greets you as soon as you walk through the door to the store. This colorful array—coupled with the largest salad bar in any of the Dave’s locations—physically places health and wellness front and center to the store experience, a stark contrast to the dearth of fresh fruit and vegetable options in that area of Cleveland. 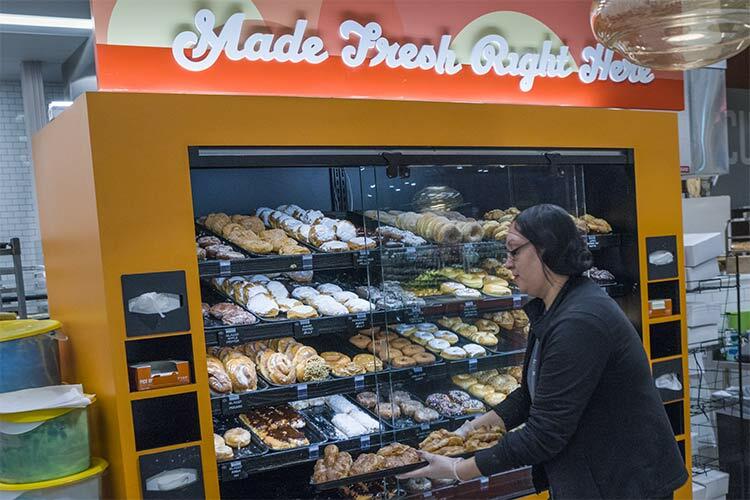 Food deserts have long been a concern in Cuyahoga County, but the recent opening of new grocery stores coupled with significant community engagement to increase healthy food access represents important movement in the effort to replenish food deserts. Along with providing healthy food options, the Saltzmans are also addressing another factor that contributes to food deserts by providing a means for patrons to get to the store. With transportation in lower-income communities existing as a chief barrier to accessing everything from legumes to literacy, Dave’s has made the bold decision to provide free shuttle service running on Wednesdays and Saturdays, with multiple pickup times during the day at three different pickup locations. Though Dave’s Market and Eatery is only a few weeks past its grand opening, the Saltzmans already have their eye on ways to improve the customer experience. It is a daily endeavor that has them engaged both the backroom tasks of analyzing sales trends coupled with the more personal approach of engaging customers as they stroll through the store. But even as the store continues to evolve, Dave’s will ultimately always be the family affair it has been for close to a century. This isn’t just a core concept, but something customers can actually see for themselves in Dave’s Market and Eatery. As David and Aaron—the pair of millennials representing their family’s latest generation—constantly look to innovate the customer’s experience, their 80-something grandfather Burt can still be found bustling about the store greeting patrons, fixing displays, and hopping onto the register, often eschewing the barcode scanner to punch in codes as he has done for decades.